Drawn to Water is a featured photo essay in the Summer 2016 issue of Southern Cultures. Added on June 8, 2014 by bryce lankard. summertime light leak from emerald isle. Added on April 8, 2014 by bryce lankard. 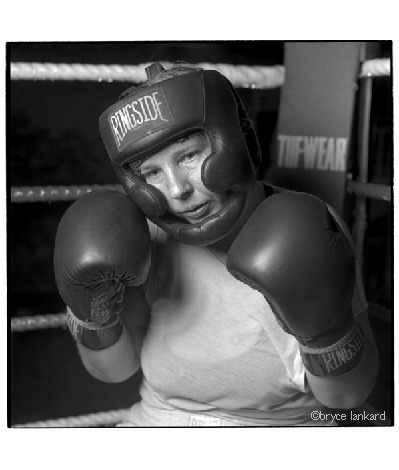 I was the Grand Prize winner of Methodist University's "Sight & Sound" photo competition with guest judge Burk Uzzle. Come check out his photos (and mine) at the Cape Fear New Music Festival starting at 2pm. I will also be part of a panel discussion at 4pm. Followed by a concert at 730pm. Added on March 16, 2014 by bryce lankard. A small selection of vintage prints, shot and printed mostly in North Carolina during the 1980’s. Early work using 35mm nikon’s and printed in gelatin silver and a few rare cibachrome color prints. Many of these images are from a larger project called Evening Land. Cibachrome, (currently known as Ilfochrome) is considered by many as being the most beautiful hand color printing process in the world of fine art photography. It occupies a unique position in photography as the only available method to create handmade photographic prints directly from color slide film. Added on February 26, 2014 by bryce lankard. This is a work in progress. I began this project with a mind to return to my roots of documentary work and for my subject I was initially attracted to the the notion of fishing piers along the eastern seaboard and how they served as a kind of "Main Street" for its beaches. But now I keep coming back to the simple idea that we, as humans, seem drawn to water. Life as we know it does not exist without water. Water calls to us as human beings. We are mostly made up of the stuff. We are pulled towards it for many reasons… for health, pleasure, sustenance, for mind and body, for spiritual rites and rituals. It is where the otherwise modest will "let it all hang out". Water attracts every race and social strata. It can calm us or frighten us. It can be a place of isolation and lone meditation or a location where one rubs shoulders with complete strangers. This project focuses on the interactions that are commonly found around oceans and beaches or along rivers and lakes, where a swimming hole or waterfall becomes a gathering place. Less than a month before departure for fotofest in houston. So much work to do and want to share a sneak preview into a few items of preparation. Like these mini-scrolls that will be my leave-behinds for the Transience portfolio. Hay Now: behind the scenes video. Added on September 28, 2013 by bryce lankard. Added on August 3, 2013 by bryce lankard. A student of mine just turned me on to the fabulous work of Yves Marchand and Romain Meffre. Most of their work relates to ruins, on subjects from the city of Detroit to theaters and beyond. The work is simply staggering in its grandeur and desolation. I am also always intrigued when artists work together in a collaborative style. I recommend having a look at their website. This has inspired me to post a few images of my modest efforts along the same lines. These are of the abandoned Holy Cross Catholic School in New Orleans lower 9th ward. Some 4 years later, the school remained as it was right after Katrina. Today most of the complex, with the exception of the old chapel, has been demolished to make way for a development that may never happen. The Holy Cross neighborhood is a fascinating model for post-Katrina recovery. There are new sustainable green buildings in a small pocket, another non-profit has slowly been buying and restoring some historic buildings and offering affordable ways to repopulate the area, and yet large swaths of the area remain in quiet ruins. Added on July 31, 2013 by bryce lankard. Added on July 26, 2013 by bryce lankard. 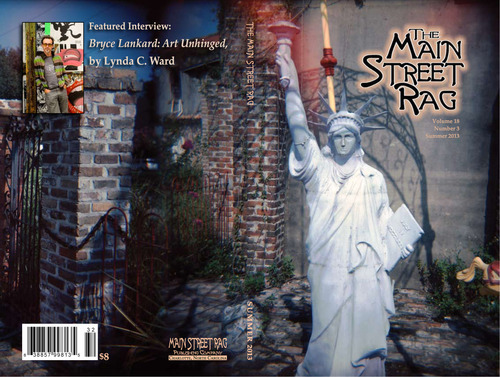 I am honored to be featured in the Summer 2013 issue of the arts and literary magazine, The Main Street Rag. In addition to giving me this lovely wraparound cover, their is a wonderful intro and interview by Lynda Ward, and a whole host of images, some rarely seen. 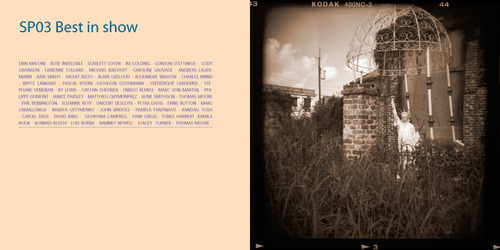 LCW: Two of your pre-Katrina photographs from Land of Dreams are published here: Two Kids on A Car and Basin Street. BL: Both are emblematic of what I was trying to show. New Orleans was very poor and, yes, some people were living in squalor. But there was hope and a certain joy to life and living that was beautiful. These boys are playing in a junkyard, yet they are happy. They embrace the spirit of New Orleans. Basin Street reveals my love of New Orleans’ aesthetic of decay. The city is sub- tropical. Things peel and rot very quickly. Not a lot of money to keep things up. Yet literally that very street, Basin Street, is the birthplace of Jazz. LCW: In terms of your 9/11 photographs, two images, Pigeon Man and Dalmatian, are perhaps good examples of how photography can freeze a moment and contain a story. BL: I lived in New York City on 9/11, but I was in eastern Europe for a wedding. Ironically I photographed Pigeon Man at almost the exact moment the planes hit the towers, just before 3 o’clock in the afternoon in Poland. I remember. I even wrote it in my photo journal. I was walking back from touring Krakow. It was very quiet and not a lot of activity. When I came to the main square, I saw this guy feeding pigeons. They were all over him. But it was this oddly peaceful moment. A few minutes later, when I got back to the hotel, I realized what had happened. That is when the Europe trip ended for me. Of course I was stuck in Europe and had to go on with my trip because I had no choice, but everything after that, everything I saw touched my sense of disconnection, loss, and fear: from shooting the Jewish cemetery, which was beautiful yet haunting, to this Dalmatian left outside of a café, staring in the window waiting on his owner. He seemed all alone. It struck me. I felt alone too and was waiting: on news of loved ones and others. Yet like this dog I couldn’t come in, I had to stay where I was and wait. LCW: Your nostalgia—a desire to hold, in your heart, to a time that has passed—is one of the things that makes your work unique and empathetic, for example your photograph Playground, China Lake. BL: Many images from my Blink of an Eye deal with childhood or youth or summertime because they are things you think will last forever then—wham!—they’re gone. I just turned 50. I thought I would be young forever, now mortality is creeping up on me. I took the Playground image about twenty years ago. I was nostalgic even then. I was reflecting on my childhood, thinking about the passage of time: how time moves on, how we grow old. I went on a trip by myself to find the place I was born, a place I lived for only a few months before my parents moved to North Carolina. Suddenly I’m there, in a deserted town on the edge of Death Valley. There’s this empty playground in the middle of a cracked-earth desert. The houses were uninhabited. No more kids to play. This really affected me. I held on to the image and idea. So when 9/11 and Katrina happened, I wanted to explore and express it. Today I’m still exploring change, transition, and time passing. Transience, my current project, is a work-in-progress and can be seen on my website [www.BryceLankard.com]. In Transience I continue to examine change, transition, movement through time, progressions—the sense of how a moment is so brief and never the same thing twice. Registration now open for "The Enduring Image"
I am pleased to say the inaugural on-line photo class for CDS, The Enduring Image, was both a technical and educational success. We had a great time and all the students seemed to think it was a remarkable experience. I saw vast development in all of their work, style and personal projects. Duke is offering this class again this fall and registration is now open. As a reminder, you can take this class from anywhere on the planet…just imagine. Hope you consider alerting all your friends in Bora Bora. The Advanced Audio, Photography, and Video Projects courses provide documentary artists with the opportunity to work with award-winning professionals in small group settings. Each term, CDS invites three established artists to teach the Advanced Projects Seminars, which are designed for individuals who are working on projects and are seeking creative guidance. This is an opportunity for students in the certificate program to refine their work before applying for the Final Seminar. Participants are required to share excerpts from their works-in-progress, and the courses are designed around the specific needs of participants. I have been woefully MIA from the blog of late. I would like to say that it is because I have been busy making tons of new work. Well, at least that is partially true. I have had a flurry of good things happening and tidbits of news, so I am about to try and catch up with the backlog. A good place to start will be with a recent issue of SXSE. Once again Nancy McCrary has chosen my work to include in this issue. My work appears under the theme of street photography, which as some may know, has been at the core of my work for a long time. I hope you get a chance to check it out. Added on March 15, 2013 by bryce lankard. I am pleased to announce that an image of mine was selected for inclusion in the latest issue of Square Magazine. 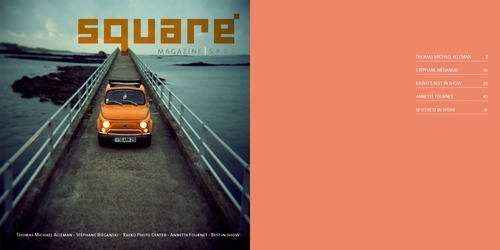 Square is a cool zine out of France and Great Britain that is dedicated, obviously, to images shot in a square format. This issue’s theme is toy cameras. Here is a link to view the whole issue on issuu.com. I guess the only complaint I would have is that there are no photo credits alongside each image. Perhaps the winners page is in the same order as the images, but that is kind of a pain. Just FYI, my image is on page 74. Added on March 2, 2013 by bryce lankard. I am pleased to announce that my project, “The Illuminated Shadow”, is featured in the current issue of SXSE magazine, which has a two-fold theme of Cuba and Nudes. I believe this is a subscription based online mag, so unless you subscribe you may not be able to see the story. I am honored to be included in this issue and delighted that my friend, Raymond Grubb, is also featured in the same section. I attended a wonderful lecture last night by Burk Uzzle at the Nasher Museum in Durham. It reminded me of a debate I have been having of late about established masters vs. contemporary photography and the work that falls in the middle ground. Uzzle’s amazing career arc seems to encompass both sides of the spectrum. I can’t help but wonder however if his history has given him the access, freedom and trust that many of the rest of us aren’t allowed. This extremely creative and energetic artist has continued to evolve, trying different themes, techniques, and subjects. Some of these forays, in my personal opinion, are wildly successful, while others less so. But as artists, aren’t we supposed to risk such failure in order to explore new ground? Most of his lecture was very inspirational, but if there was a single alarm bell that was raised for me, it had to do with his project with mimes in his new hometown of Wilson, NC. He admitted that his tech-guy in Seattle, did some post production on his scans of this work, most of it just fine, but when he admitted swapping a head off one photo to put on the body from another… I almost fell out of my chair. For an artist of such integrity to do this without batting an eye rather shocked me. I don’t want to belabor that point however, since it was a rare anomaly. Otherwise his work showed evidence of great mentorship from the likes of Henri Cartier-Bresson and his other fellow Magnum photographers, and the wealth of his iconic vintage images and his incredibly vital current work gave proof that one of North Carolina’s own is a verifiable master of his genre. I have included that entertaining ladder of success in the arts to compare ourselves with someone who is already standing on the top rung. Added on March 1, 2013 by bryce lankard. Added on February 14, 2013 by bryce lankard. Added on February 12, 2013 by bryce lankard. I am pleased to announce that I will be teaching a short subject course at the Center for Documentary Studies at Duke University this February. The subject...Durham's MARDI GRAS!!! I have enjoyed documenting Carnival throughout New Orleans and Louisiana for many years and am looking forward to working with students to capture the essence of our own local version of the event. Please visit the CDS website for more info and to register. 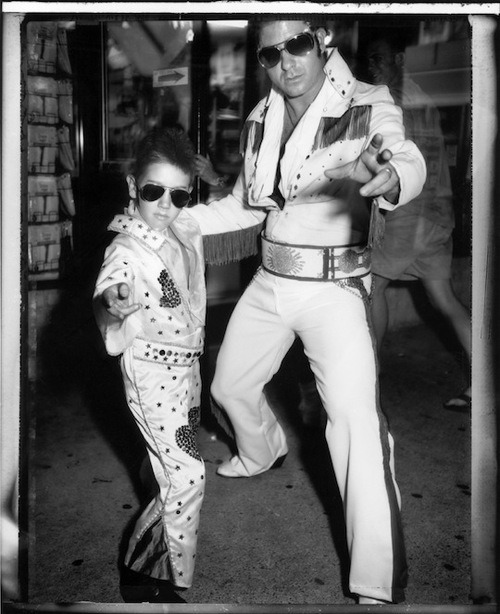 Meanwhile, enjoy a few samples of past Mardi Gras. Added on February 6, 2013 by bryce lankard.